The Government Registered Crown Land "Nikao Cemetery" on Rarotonga contains the graves of foreigners including expats, tourists, 1977/78 Milan Brych cancer patients (including my mother Gloria Walker), Cook Islanders mostly from the Outer Islands, and the largest group of Cook Islands WW1 Anzacs buried in any cemetery or burial ground throughout the entire Cook Islands. Our team of volunteers will continue to restore dignity to the final resting place of those resting in the Nikao cemetery. Our team of volunteers need to continue to purchase concrete, paint, weed matting and other materials for the project. Your support of this project is truly appreciated. Hello to all the wonderful Nikao cemetery Go Fund Me donors. Here is a link to part of my interview with Radio New Zealand ten days ago when I discussed the progress we have made at the Nikao cemetery. Thank you all once again for your kind donations. 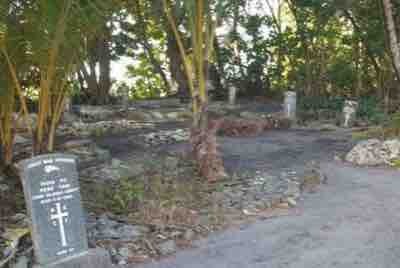 You have helped turn this once neglected cemetery into a site of significant historic importance in the Cook Islands. Hello to all the wonderful Nikao cemetery Go Fund Me donors. Here is a quick update on our progress. I have been reviewing quotes and wording for the historic signage for the cancer patients, tourists and expats section of the Nikao cemetery. This sign will be installed in January 2018 when I return to Rarotonga, and will give tourists and visitors to the Nikao cemetery information about this historic site and those who are resting there. I am now seeking local sponsorship from within the Cook Islands for the historic sign telling the story behind the Cook Islands WW1 Anzacs buried within the Nikao cemetery. This is the LARGEST group of Cook Islands WW1 NZEF Anzacs buried anywhere throughout the Cook Islands. I wanted to give everyone an update on recent events on Rarotonga. The New Zealand High Commission to Rarotonga and the Cook Islands Police Service have signed a Memorandum of Understanding which will see the site brush cut every month. This is fantastic news! 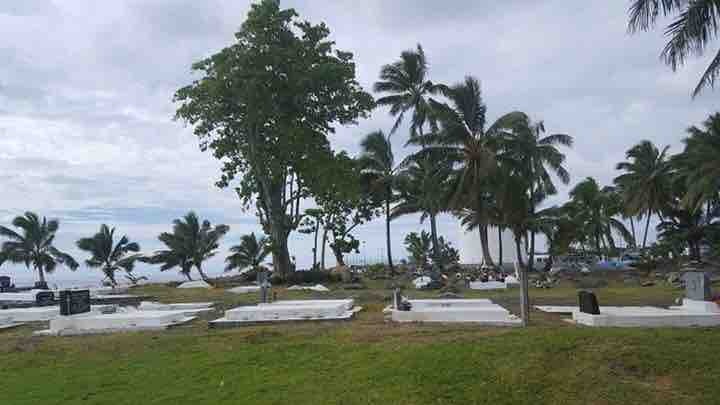 The Nikao Cemetery Restoration Project is still evolving and our team of volunteers still have much more work to do beautifying the site - more coconut tree removal, seating, pathways, cemetery friendly plantings, historic signage etc, so our work will be ongoing. We still have in excess of NZ$3000 which has been fundraised both here via Go Fund Me and on Rarotonga. We will use these funds to continue beautifying the site. Great work, Cate. Good luck with your trip to Rarotonga. Great job to you and yours Cate. We need more like you! my fatherJerry is in the cementry Mary is my sister and Lucy is my mother i visited my fathers grave a few years ago and appreciate what you and your group are doing ,thanks again for caring. My mother, Joyce Parish, is buried there. Thank you Cate & fellow volunteers for all of your hard work. We appreciate everything you have done to take care of our loved one. Tommy & Sandra, son & daughter of John Watson.